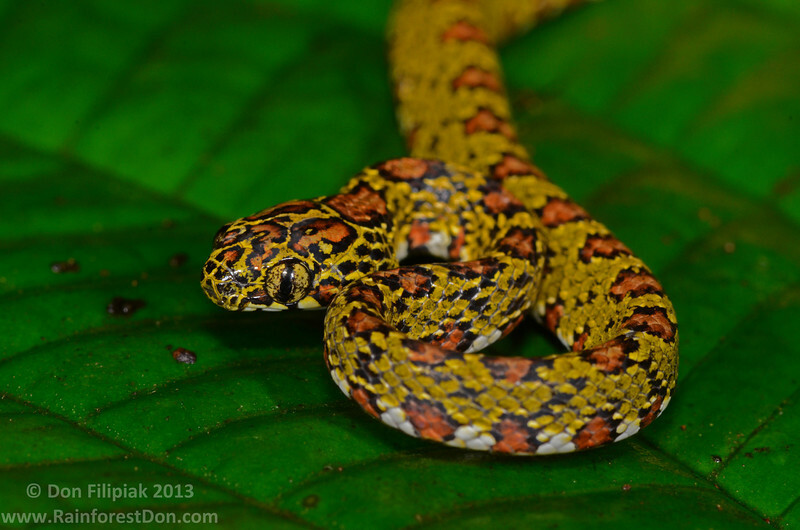 Lichen-colored snaileaters (Sibon longifrenis) are among the most convincing arboreal viper mimics in the neotropics. The green coloration with the dark bordered orange/maroon ocelli on the dorsal surface, coupled with the reddish blotches and white coloration on the sides and venter is very reminiscent of the locally common Eyelash Viper (Bothriechis schlegelli). This neonate was a mere four inches long.